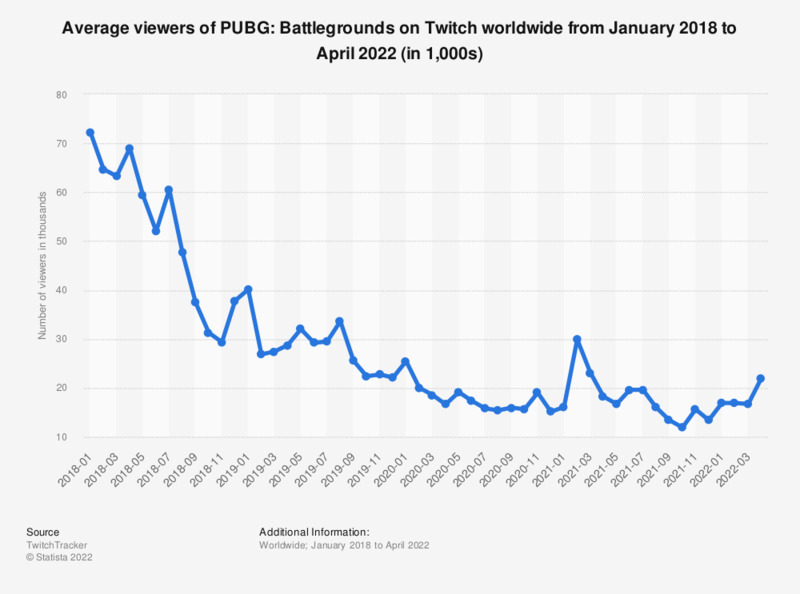 The statistic shows information on the number of viewers of PlayerUnknown’s Battlegrounds (PUBG) on Twitch worldwide from May to October 2017. According to the estimates, the battle royale game developed by Bluehole attracted 202 million viewers on Twitch in October 2017. At the same time, the game had a global player base of 10 million.